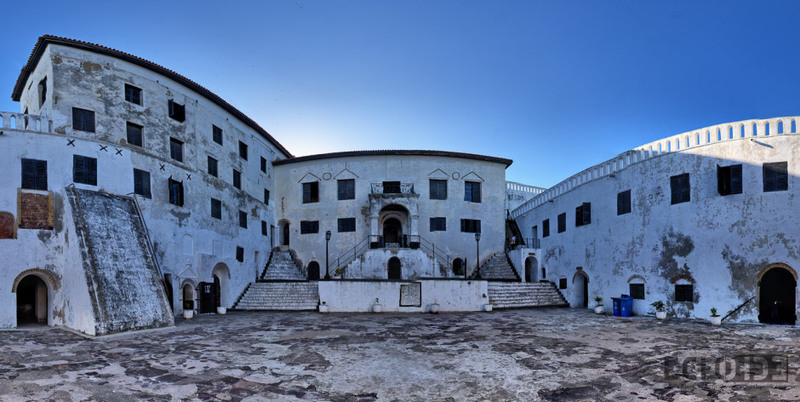 The castles and forts of Ghana constitute treasures par excellence, a legacy of the historic past as much to modern Ghana and Africa as to the world at large. 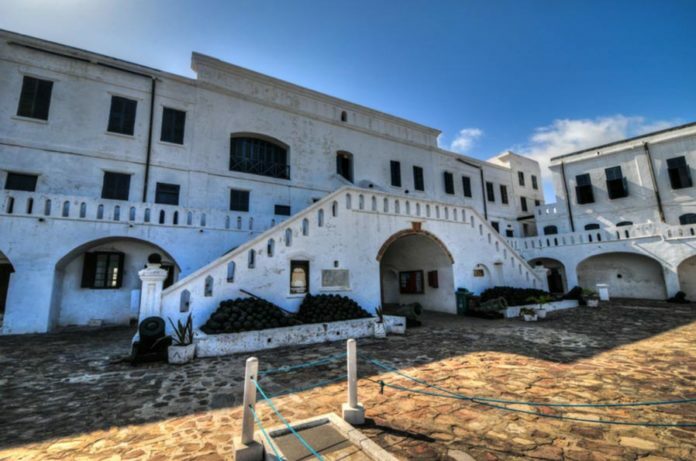 When the Europeans landed at the coastal line of Ghana, the location of the Elmina Castle was where they first interacted with inhabitants of the area. The Portuguese found a lot of ivory and gold in this area and referred to it as “Mina de Ouro”. In other instances, the Elmina Castle is also referred to as Fort St. Jorge or the St. George’s Castle. The Portuguese founded Castle “Sao Jorge and Mina” in 1482 to protect the gold-rich lands discovered in 1471. The castle was completed according to its original plan in 1486 and the town was raised to the status of a “city”. Portuguese navigators carefully selected the castleâ€™s site, because it was strategically located at the end of a narrow promontory bounded on two sides by the Atlantic Ocean and the Benya River or lagoon. Here, in the lee of a low headland, a natural harbour provided sheltered anchorage. During the 15th and 16th centuries, the Portuguese enjoyed a trade boom in spite of numerous attempts by Castilians and later the French and the English to break the Portuguese trade monopoly. The Portuguese imported vast quantities of old and new cloths, blankets and linen from Morocco, North European copper and brassware, millions of “manilas” (metal bracelets) and iron kettles and bars in exchange for gold dust and ornaments supplied by Mina. The import trade raised the issue of porterage, as the natives needed assistance in conveyance of large quantities of European goods into the hinterland and coastlands. To meet this need, the Portuguese initiated, in the early 16th century, the importation of slaves from Benin to Elmina in exchange for gold, ivory, etc. As it turned out, however, the price of gold slumped in Europe in the 16th century due to massive importation of superior gold from Mexico. At the same time, the Portuguese Crown spent vast sums of resources on defensive works, artillery, galleys, warships and convoys related to Mina. Thus weakened, the Portuguese succumbed to Dutch attacks and were dislodged from Elmina in 1637.